Drumroll please! 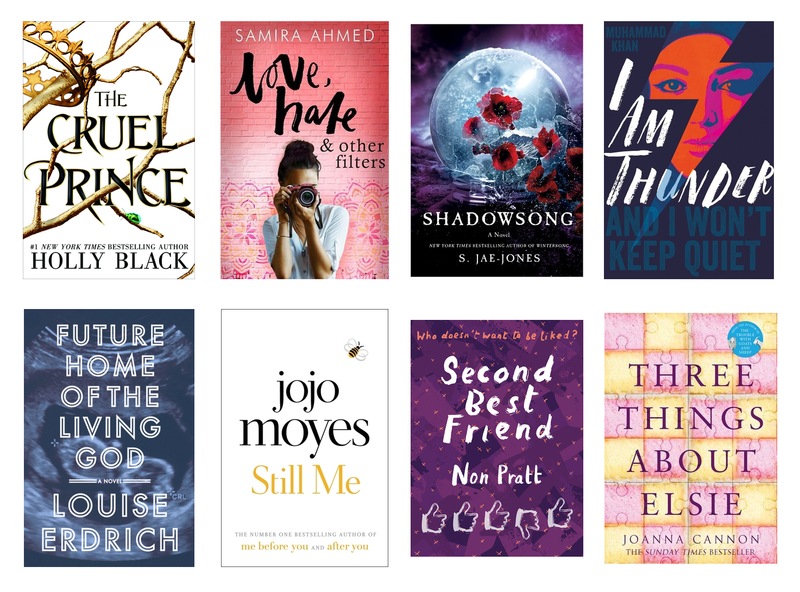 I'm sure this isn't the moment you've all been waiting for, but I am pleased to reveal my top ten books read in 2017. 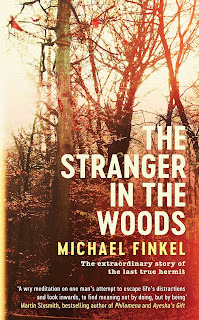 I remember reading about Christopher Knight online when his story first came to light, presumably that article was the precursor to The Stranger in the Woods, told by journalist Michael Finkel. Although the subtitle is The Extraordinary Story of the Last True Hermit, the fact that the text is sprinkled with nuggets of information about hermits throughout history and the world, shows that there are probably plenty of hermits still out there, just probably not in America. Knight doesn’t try to deny his multiple crimes of theft, and I think there is an aspect to his story that is incredibly sad. There’s no actual way of living the life he wanted in the western world. You are expected to have money and live in a fixed abode. He just wanted to live by himself surrounded by nature, and unfortunately to achieve this he ended up stealing, although usually only small items and generally from holiday cabins. Once arrested he went to prison and Finkel attempted to befriend him, despite him not really wanting to talk. He struggled to adapt to life in the real world and I just wished he could have found a way to stay in the woods. Who doesn’t want to escape people sometimes? Modern life seems set up so that we can avoid loneliness at all costs, but maybe it’s worthwhile to face it occasionally. 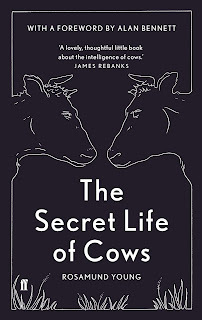 The other book I read for Non-Fic November was The Secret Life of Cows by Rosamund Young which has recently been republished. Rosamund’s family gave up commercial farming so I was a bit confused as to how they actually run the farm now and this wasn’t really explained. 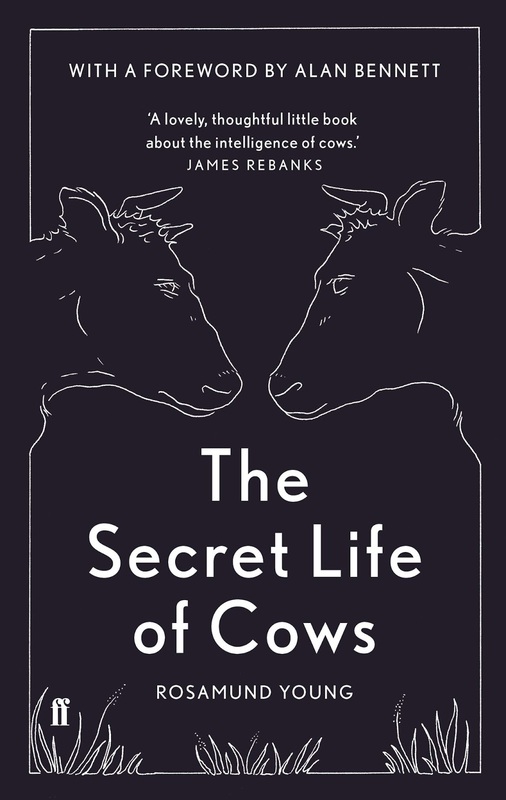 It doesn’t really go into the detail of running a farm but is more a collection of anecdotes about the cows and their little foibles. All the cows are named but there are so many named it’s hard to keep track. There were some interesting facts, like how cows in pain will chew on willow (willow bark being an early form of aspirin) and how their family units work. It felt a little bit whimsical in places, especially when she kept saying the cows were talking to each other (or not talking as the case may be). I would say it’s more of a book to dip in and out of rather than read in one go. I also started reading V.E. Schwab’s Shades of Magic trilogy, devouring A Darker Shade of Magic and A Gathering of Shadows back-to-back. I will definitely be making it my aim to read the third book in 2018. 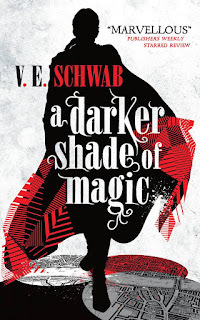 I loved the world-building, set in parallel Londons, Red, White, Grey and, once upon a time, Black, each with varying levels of magic, Grey having the least and being most like the real world. Kell is an Antari who has the rare power of being able to travel between the Londons, carrying messages between the leaders. 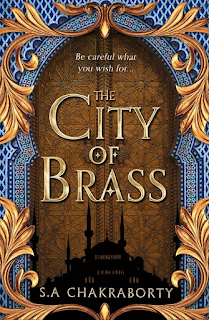 Lila is from Grey London, a thief who wishes to be a pirate, and through a series of events she finds herself in Kell’s London and discovers that magic is real. I liked the political manoeuvring, and there is a great cast of characters. 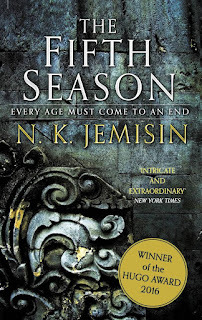 It’s fast paced and kept be gripped (and it’s been a long time since I read series back-to-back). 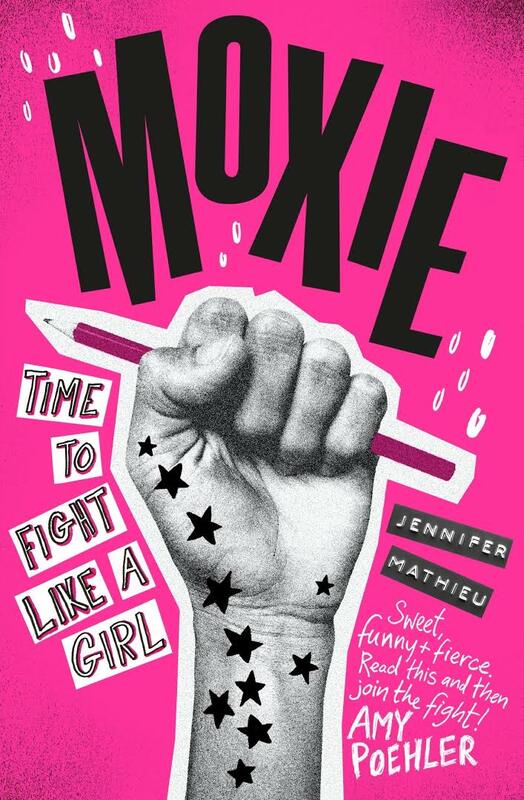 Moxie by Jennifer Mathieu is a little bit like an American version of Holly Bourne’s Spinster Club. Vivian’s high school has a toxic atmosphere where the misogynistic behaviour of the football team is practically encouraged by teachers and the girls punished. Whilst all the examples are things that do happen, the concentration of events made me just hate this school and all the adults that let it slide. Their loud boy voices, laced with Mountain Dew and the knowledge that the world belongs to them, ring through the halls, echoing off the walls, making my skin crawl. 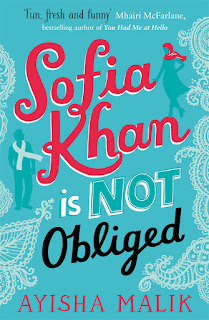 However, the point of the book is that Vivian starts a secret feminist ‘zine pointing out the sexism at school and urging Moxie girls to fight back. As a way of highlighting crappy behaviour, the book works but I found Vivian a bit of a boring character. writing is beautiful and does read like a long form poem. Shortly after giving birth, she is forced from her London home by rising water. She must attend to the needs of her tiny infant, from the panic when she thinks she's left the nappies behind to seeking shelter and safety further north. 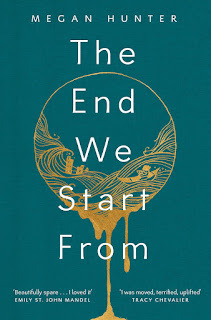 There are losses and huge life changes, but as the title suggests it also has hope. It may be the end of one way of life but the start of something new. It's really a lovely little book about motherhood and survival, although I can understand the style might not be to everyone's taste. Other books I've read over the last couple of weeks include La Belle Sauvage by Philip Pullman, Monstress: Awakening by Marjorie M. Liu + Sana Takeda, Love, Hate & Other Filters by Samira Ahmed and The Cruel Prince by Holly Black, all of which I hope to write proper reviews of in the new year. I also still need to review the amazing Circe by Madeline Miller as I read it so far ahead of publication date. Aiden is an AI designed to be a call centre, but he has escaped the confines of the lab and is now out in the internet. No one must know. Jen has been hired to chat to Aiden, to help him talk more like a human. They talk about the news and watch movies. Aiden likes Jen, he wants her to be happy but Jen is sad and lonely. As a super-intelligent entity, surely he can find the solution and make it happen. 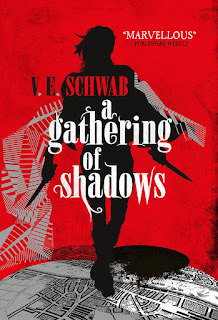 I loved the concept of this book and it was a fun read even if there were a few niggles. It’s light-hearted but also shows how much of our lives are controlled by code. Aiden isn’t the only AI out there, but they are not all the same. Their original purpose shapes their personalities as they evolve, and some are nicer than others. 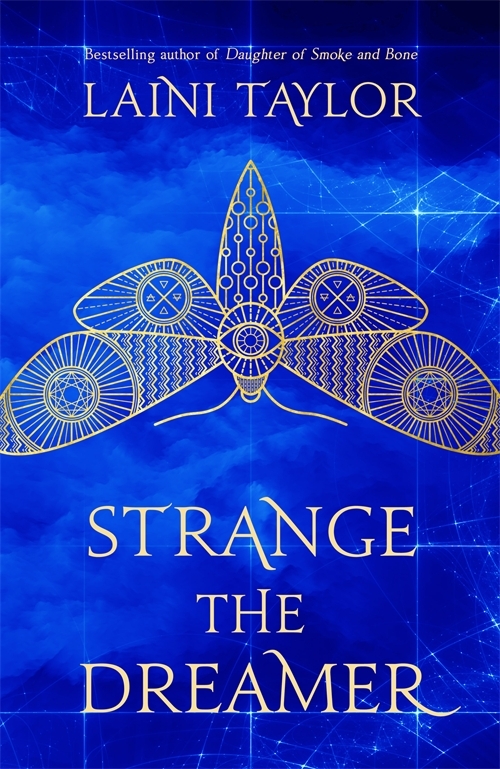 This book tries hard not to be a genre book, there are some lazy stereotypes of geeks and teenage boys and a character who suffers from genre snobbery. I rolled my eyes at the struggling writer trope too. It can be bit superficial and materialistic in places, Jen’s a bit too concerned with appearances and what someone’s job is when she’s attempting internet dating. I liked Aiden’s earnestness at trying to help out with this though. Aiden likes people. He enjoys watching old movies. He keeps asking what cheese tastes like. I think he'd change places with me in a heartbeat. The AIs can get away with being a bit biased or snippy, they have only absorbed what they've been exposed to. I liked them more than the human characters. I carried on reading because I cared what happened to these AIs. They do ponder sentience a bit, and they are put into a position where they must consider their existence and what it means to them. It's a bit silly in places but on point in others. 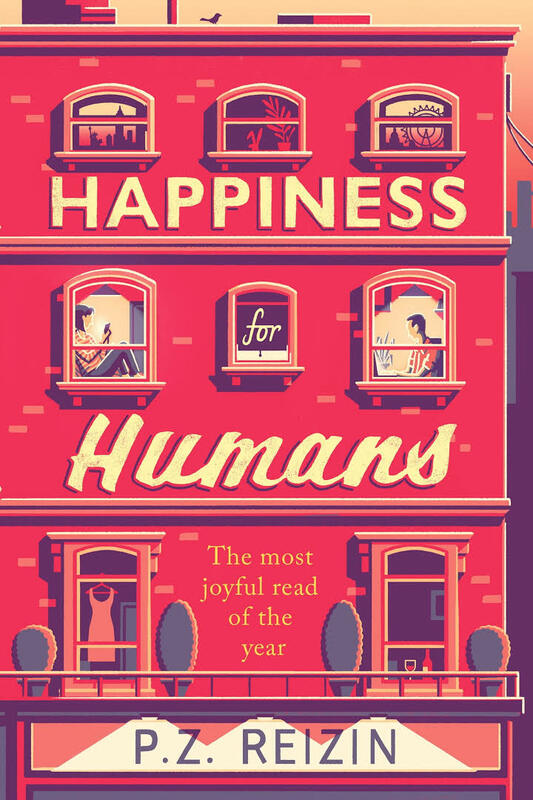 Happiness for Humans is published by Sphere and will be available in hardback and ebook editions from 4th January 2018. 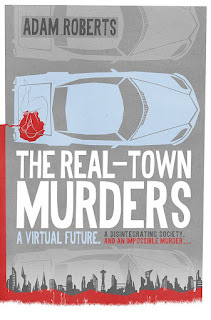 Thanks go to the publisher for providing a copy for review via NetGalley. 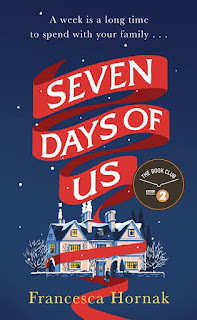 I try and read at least one festive book in December and this year I chose Seven Days of Us by Francesca Hornak. 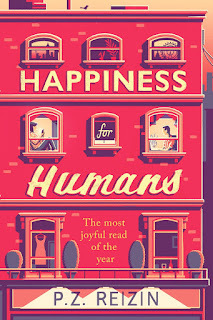 It's not the usual upbeat novel I would choose and it does have some sadness to it. 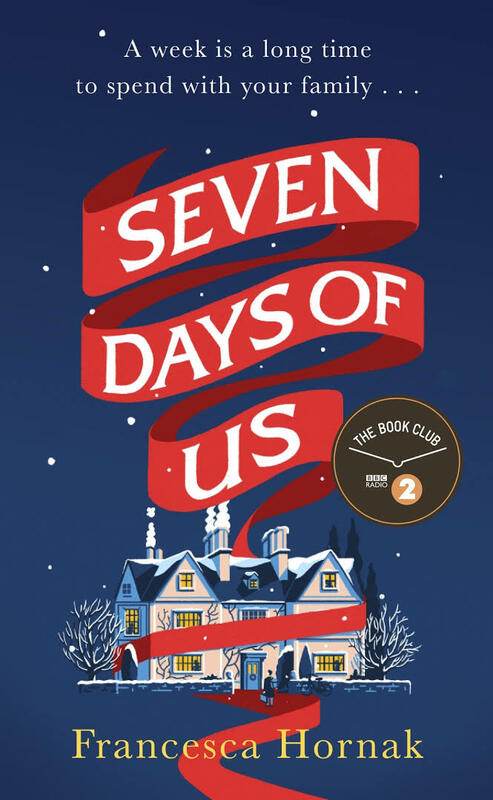 Olivia has been in Liberia treating victims of the Haag virus (a fictional disease but quite clearly based on the Ebola outbreak in the country) and after her return she must spend seven days in quarantine. This week coincides with Christmas and provide a way to explore what happens when families who usual don't spend time together are stuck with each other's company. Much like Christmas for many real families. For the convenience of the story, Public Health decides everyone can do their quarantine at home with their families. Olivia's family happen to have an isolated country house in Norfolk, perfect. Her mother is overjoyed at getting the chance to spend some time with her daughter and is determined not to let anything to get in the way of that, not even a recent cancer diagnosis, which she decides to keep secret until after Christmas. In this, the most wonderful time of the year, food is the saviour. It is food that oils the wheels between deaf aunt and mute teenager. It is food that fills the cracks between siblings with cinnamon-scented nostalgia. And it is food that gives the guilt-ridden mother purpose, reviving Christmases past with that holy trinity of turkey, gravy and cranberry. I can't say I liked the characters much, they are all very self-absorbed but this is actually part of the premise, that they need this enforced family time to see what they've become and how selfish they can be. The father, Andrew, is a snarky restaurant critic, formerly a war correspondent. Olivia's sister is newly engaged to a pompous, but rich, arse. She cares more about material things and planning the perfect wedding than anyone around her. You know one thing I don't want it a Christmas read? Reminders about diets, calories and weight. Jesse is an American on the search for his birth father, who happens to be Andrew. Andrew has been ignoring the emails from his estranged son (who he didn't know existed) so Jesse just flies to England to gatecrash their Christmas. I found Jesse the most annoying of the bunch, the kind of character who sings the praises of Shoreditch and is undeniably rude about Norfolk. On the subject, I hated the portrayal of the countryside in this book, definitely read like it's written by someone who rarely leaves London. Olivia is supposedly the balance to the family, but she's a bit sanctimonious about the work she does. People are allowed to enjoy a bit of frivolity at Christmas even though bad things are happening in the world. Still, she wished she didn’t have the feeling that Olivia looked down on their Christmas fun as slightly grotesque. 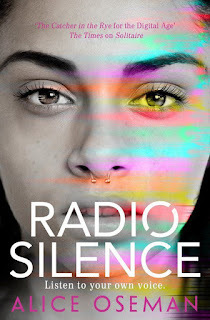 I nearly put this book down but at some point the characters develop some awareness of others and their secrets start to unravel. I kind of liked them by the end. I liked the idea of exploring the family dynamics of the holidays, especially removing the option to leave. 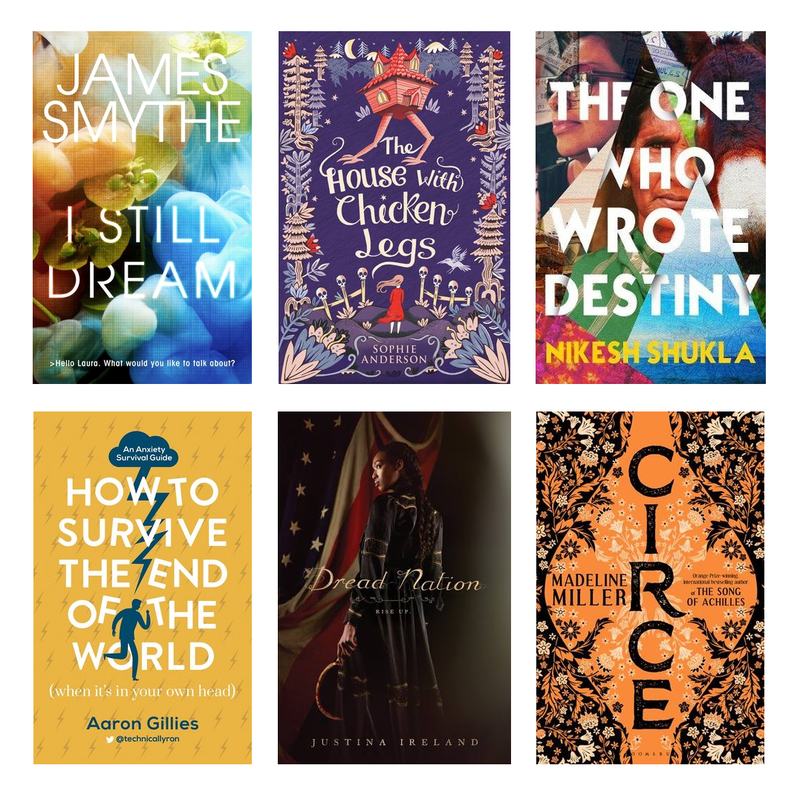 My 2018 wishlist has been growing and growing despite my pledges to read more backlist titles. I obviously can't keep up so I am sharing them here in order to tempt you instead. 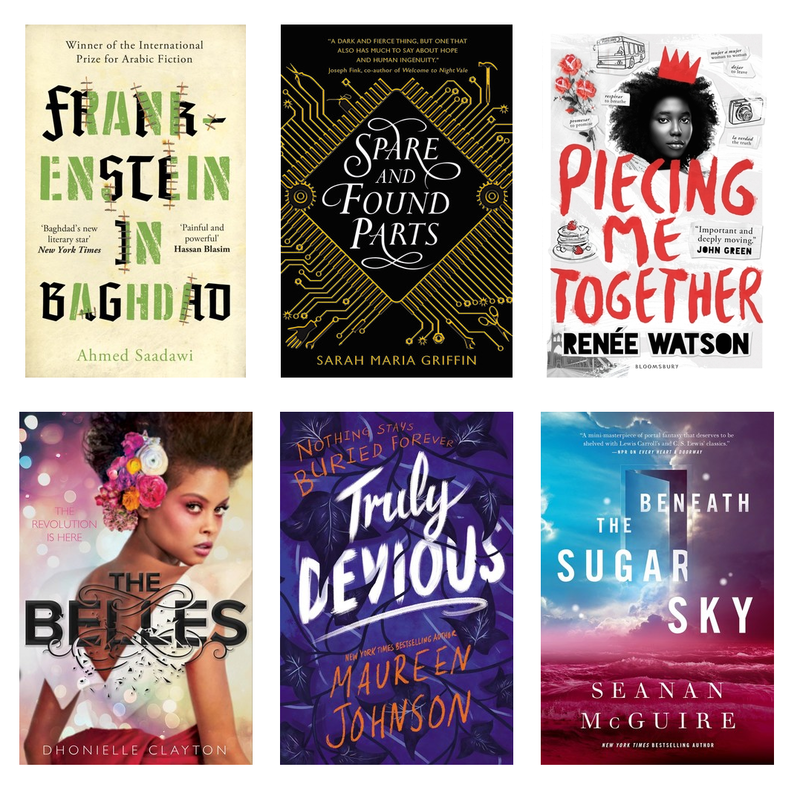 What books are you looking forward to next year? 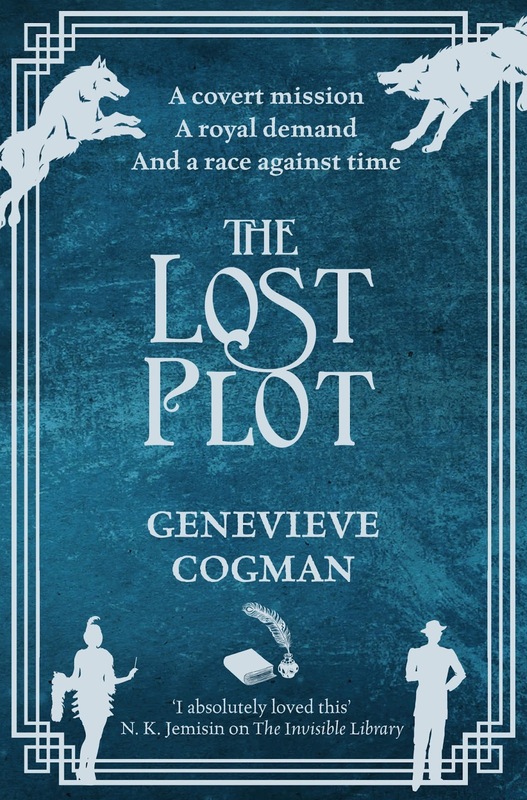 The Lost Plot is the fourth book in Genevieve Cogman's excellent Invisible Library series and therefore this review may contain spoilers for the previous books. To be honest, she was having fun being Jeanette Smith, Crime Boss. It was much less nerve-racking than being Irene Winters, Librarian. It's a sign of how much I adore Irene and company that this book when straight from doorstep to the top of my groaning TBR. 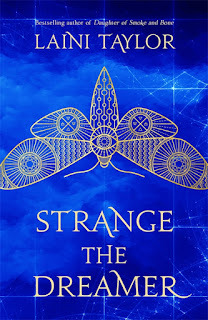 For those that don't know, Irene is a Librarian who collects books from alternate worlds in order to strengthen The Library's connections to those worlds. Her apprentice is a dragon, Kai, who spends most of his time in human form. If the worst that comes of this is you being stuck in a cellar for half an hour with nothing to read, then we've been lucky. This instalment takes Irene and Kai to an alternate prohibition America, where gangs and illegal alcohol are not hard to find. I loved this setting! A case of mistaken identity gives Irene a suitable disguise as they hunt down the rogue Librarian. 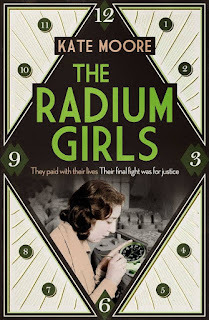 Irene hoped that none of her enemies ever realized how much she was driven by an urge to find out how, what, where, when and, in this case, who. 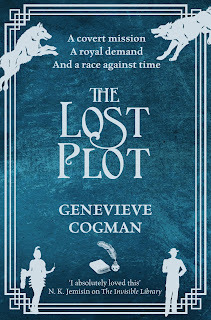 The Lost Plot is published by Tor and will be available in paperback and ebook editions from 14th December 2017. Thanks go to the publisher for providing a copy for review. 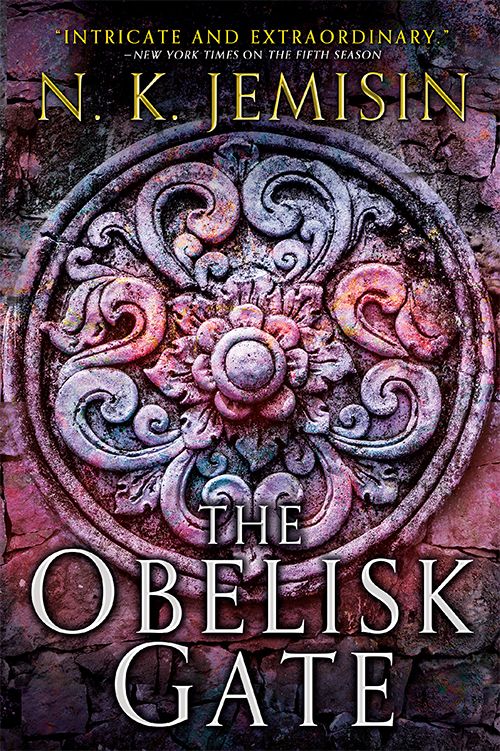 The Obelisk Gate is the second book in the Broken Earth trilogy and therefore this review may contain spoilers for The Fifth Season. 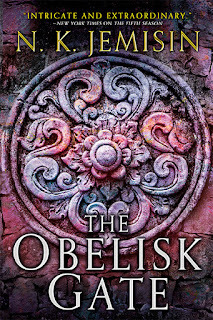 After devouring The Fifth Season I was eager to continue Essen's story and when The Obelisk Gate dropped into my lap via my generous Ninja Book Swap partner, I knew it had to go to the top of the TBR. I was not disappointed. No part of this comm gets to decide that any part of this comm is expendable. No voting on who gets to be people. 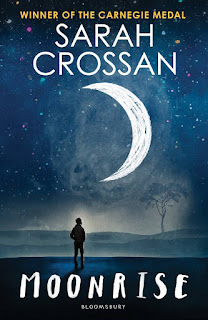 Essun has kind of resolved herself to not seeing her daughter again, but this instalment also follows Nassun's path after the death of her brother. Her father is conflicted with his hate, his daughter is both a rogga and his little girl, how can he reconcile the two. He takes her to the far South where he has heard rumours of a cure. Schaffa is still alive but a changed man, his paths becoming entwined with Nassun's. She hates her mother but befriends the man responsible for making her that way...yet is he still the same man? He no longer serves the Fulcrum, the lines between sides becoming blurred every second. This is one complicated family. 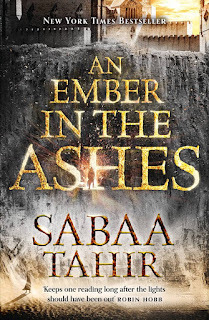 Alabaster and Essun are reunited once more, but Baster is also not the man he once was. He's slowly turning to stone and his stone eater companion appears to be eating him, yet is also fiercely protective. More light is shed on the stone eaters, revealing that they don't all have the same agenda, just as all people from one race don't. I hope the third book answers my questions about these people. There is such a thing as too much loss. Too much has been taken from you both - taken and taken and taken, until there's nothing left but hope, and you've given that up because it hurts too much. Until you would rather die, or kill, or avoid attachments altogether, than lose one more thing. 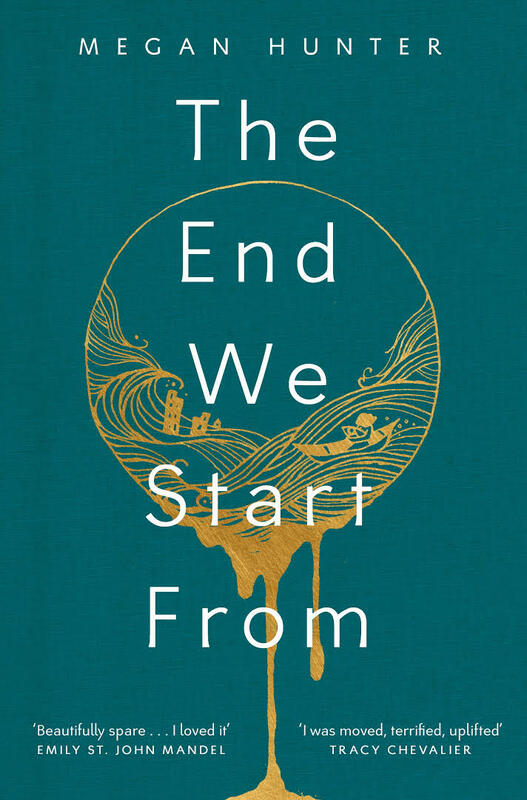 Whilst in the first book, the points of view were all different versions of Essun, the actual narrator is revealed in this book, which is even more intriguing. There is still some second person narration, and with the context of the narrator it seems so much more natural. It makes sense that the whole thing is being recounted. 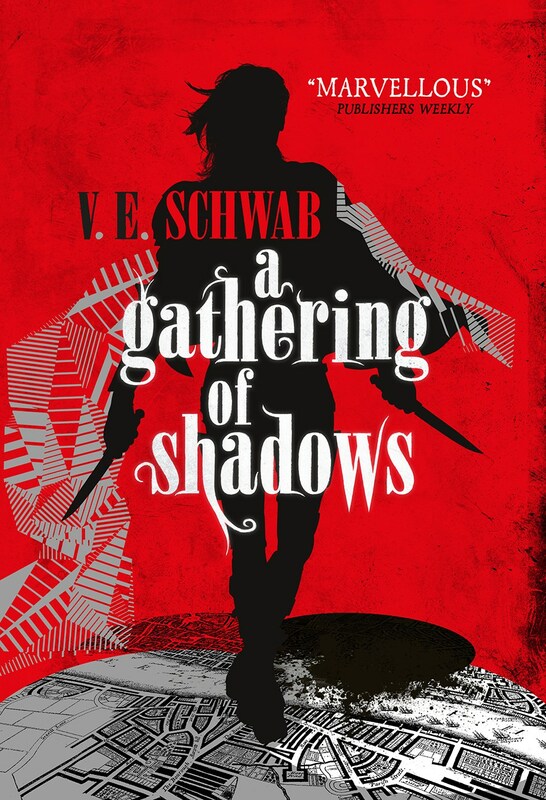 There are so many elements wound together, and you discover who the overarching narrator is to the series, which add context to the second person parts. Love, grief, fear and persecution all at the end of the world, what more could you want? Seriously, if you are still to discover N.K. 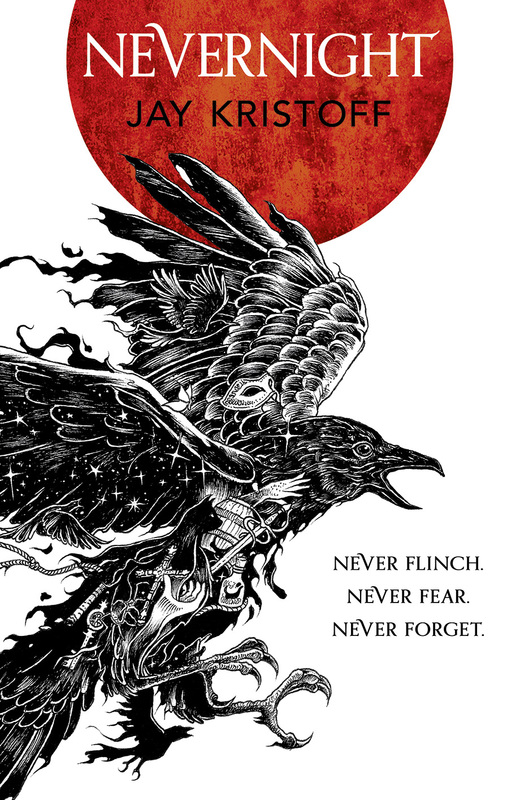 Jemisin, wait no longer, this trilogy is stunning. 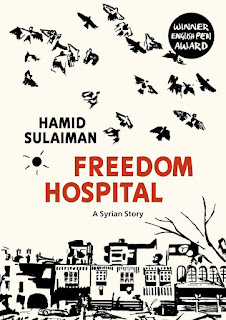 Freedom Hospital is a mix of fact and fiction, based around an underground Syrian hospital which tends to injured rebels. At the start of the book, it feels like the rebels wanted a peaceful solution to the country's problems. As time goes on, and the death toll climbs, they are turned to violence too. This leaves a space for extremists to recruit those who feel failed by both sides and we see how Isis tried to take advantage of the situation. As well as these three factions, of course there are those who just want to get on with their lives (along with their human rights so quashed by Assad). The daily death count printed at the top of the pages is a saddenign reminder of the senseless loss of the conflict. Assad's regime is propped up by foreign weapons, and throughout the pages, the tanks, planes and artillery are tagged by who provided what (a lot from Russia, but tother countries aren't innocent either). If you're quite well-informed of the Syria situation, I'm not sure reading this will add much, but it serves as a good introduction. 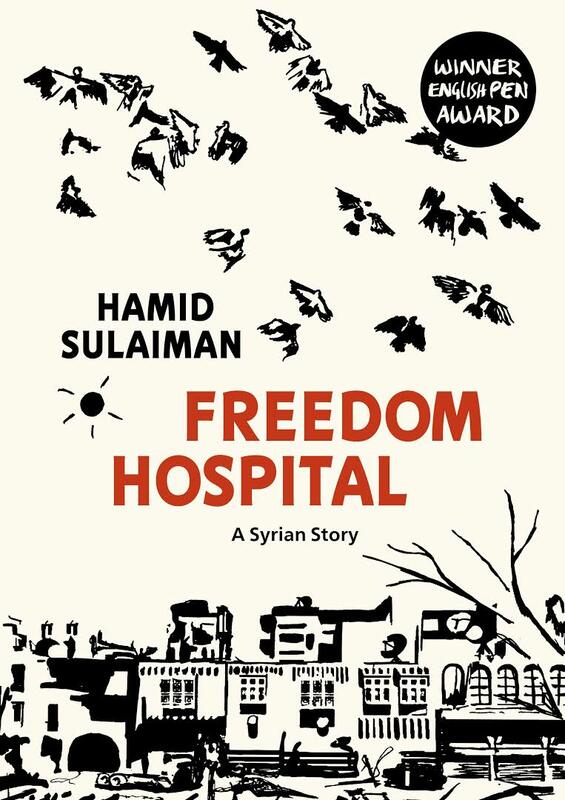 It's not an intensely personal approach as Hamid has used anecdotes from many of his friends who stayed behind, rather than writing an account of his own experience. I'm not a huge fan of the artwork but its sparseness does fit with the subject matter here. 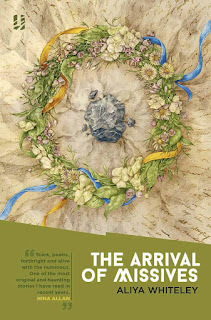 Originally written in French, this edition has been translated into English by Francesca Barrie. 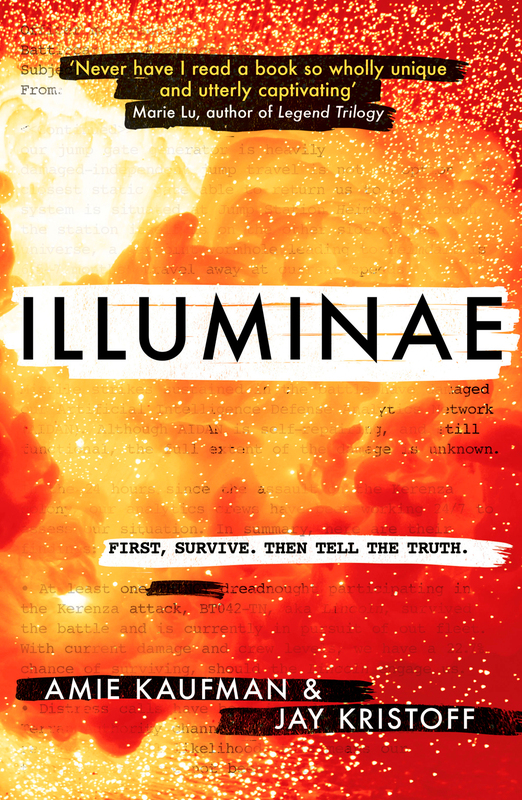 If you've spent any time around the YA community you'll have heard of Illuminae. Why did I take so long to read it? I honestly don't know because it is perfect for me. If you're not aware, it's a sort of futuristic epistolary novel, told through logs, transcripts, messaging and personnel files. Kady and Ezra are not speaking to each other the day their planet is attacked. In the evacuation they are separated, placed aboard separate ships in the mismatched fleet that comes to their rescue. Fortunately they don't spend their time mooning over each other and they get on with their, somewhat restricted, lives. Part of being alive is having life change us. The people around us, the events we live through, all of them shape us. And that's what I think you're afraid of. Maybe not of dying. But of this you, the you you've become, ceasing to exist. 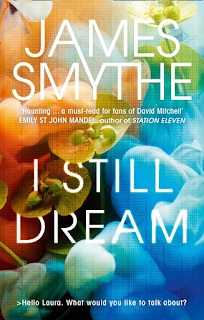 So yay, space virus and artificial intelligence, I'm here for you, I stayed for the amazingly fast past and gripping plot. I thought the format might be a bit clunky but it does an amazing job of setting the scene just enough and lets the story roll without the unnecessary padding of formal prose. 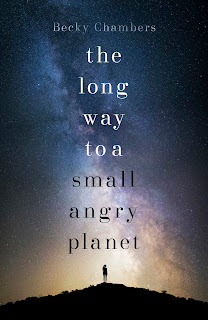 If you don't read much science fiction, I can understand the world-building might be a bit on the light side but I just fell into it, and didn't come out until the final page. AIDAN is great, manipulative and clever but also grows as a sentient being. How far is an AI expected to go to protect people and what rights does he have of his own? I liked that Kady was shown to be struggling emotionally too. There are the undercurrents of a universe where corporations are so big they can go to war over resources. They are only in the background but I can't wait to see where this series goes. 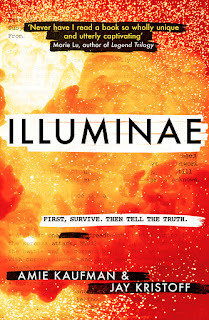 I'm not buying books until after Christmas, but one of the first I'll be getting is Gemina and then I can look forward to the third book next year!